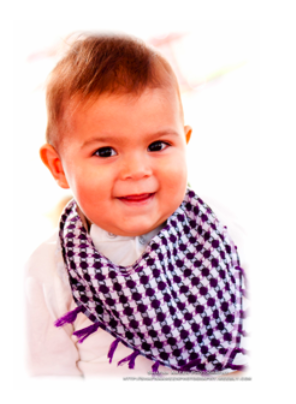 Looking for a baby gift with a twist and symbolic of Arabic heritage? 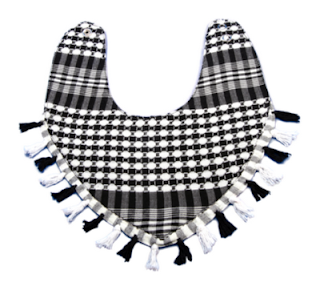 Omalillo offers a cute collection of bibs/ scarf for babies using the traditional and distinctive woven checkered pattern fabric worn by Arab men. Wearing Keffiyeh scarf in colorful design and flowery embroidery is a popular trend for adult. 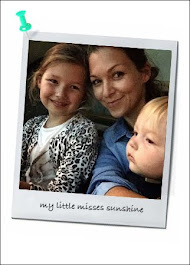 Now Omalillo offer a trendy child friendly version. Check out www.omalillo.com or facebook. Retail price is 85AED. Available on Omalillo website, Bumble Bee shop in Dubai Mall and at ARTE SOUK at Time Square, on April 8th. Despite some controversy (symbol of Palestinian nationalism), the original Keffiyeh is actually a traditional Arab headdress. It has no religious or political symbolism unless the person wearing it has intentions to make any.